At a young age, Meiling knew she wanted to be a fashion designer, so her mother taught her to sew. This introduction to tailoring sparked her passion for designing and crafting fine garments, which has evolved today into her life’s work. With no opportunities in 1960s Trinidad to receive a formal education in fashion design, Meiling left home in her teens, bound for London, England and the Lucie Clayton School of Design. After receiving her diploma in the early 70s, she returned to Trinidad, where she set up her first studio and retail outlet in a renovated garage. 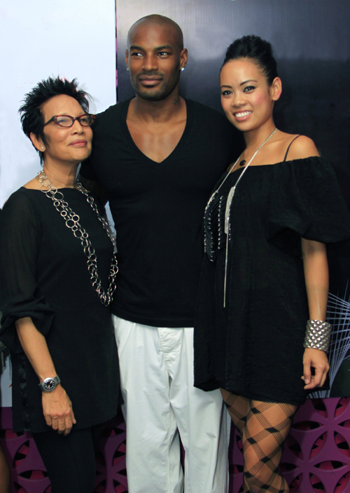 Since 1983, Meiling has worked closely with Emmy Award-winning costume designer, Peter Minshall on his Carnival productions and other artistic presentations. This collaboration has won her accolades, notably for her involvement in the opening and closing ceremonies of the 1996 Centennial Olympic Games in Atlanta, and for her work with the Miss Universe Pageant, which was held in Trinidad in 1999. In 2005, Absolut of Sweden commissioned Meiling to design uniforms for the Absolut bar at 51 Degrees, a local nightspot. This collaboration proved so successful that the company concocted an “Absolut Meiling” martini. 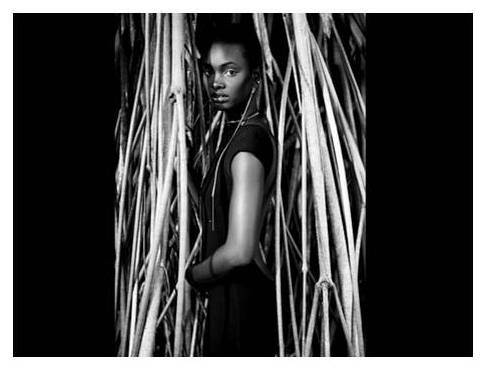 In 2010, Meiling was one of only two designers in the English speaking Caribbean to be invited to show at Plataforma K in Colombia. This is the most prestigious fashion trade show in the South American region and in 2011, she was the only one invited back to represent the English Speaking Caribbean at large. Meiling also launched the MEILING COMPLETE line of lifestyle products which includes room scent diffusers and candles. In 2011, Meiling was honoured by receiving the Women of Influence Award from the Association of Female Executives of Trinidad& Tobago for her innovation and business acumen. Jaunel McKenzie is a Jamaican born beauty who aspired to be a phychiatrist or an account. 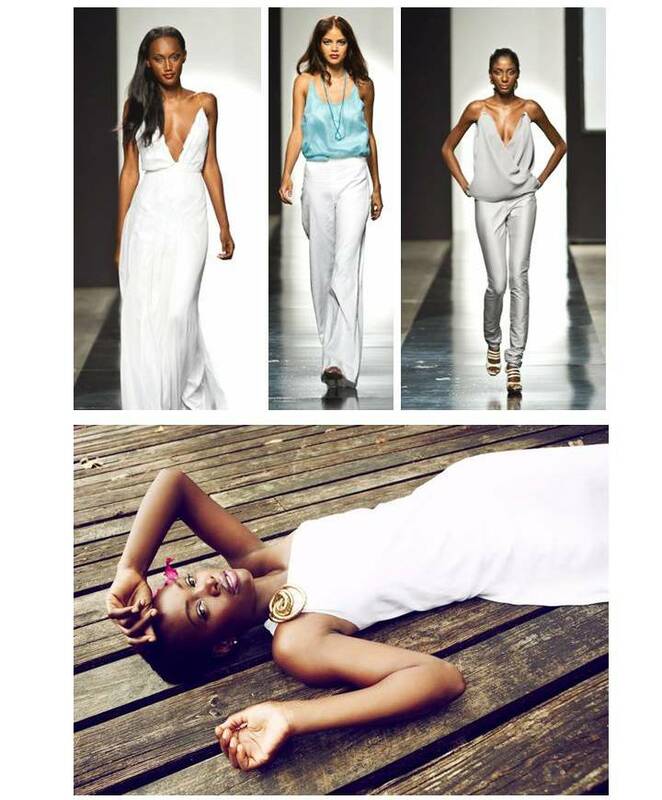 Today she is one of the top models in the world-discovered almost byaccident when she auditioned for a model search. Not knowing that the model search would propel her to supermodel status where she would be known for modeling for a host of top designers and photographers in the industry. She thanks God for the vision and inspiration that enabled her to become a phenomenal success in the industry. 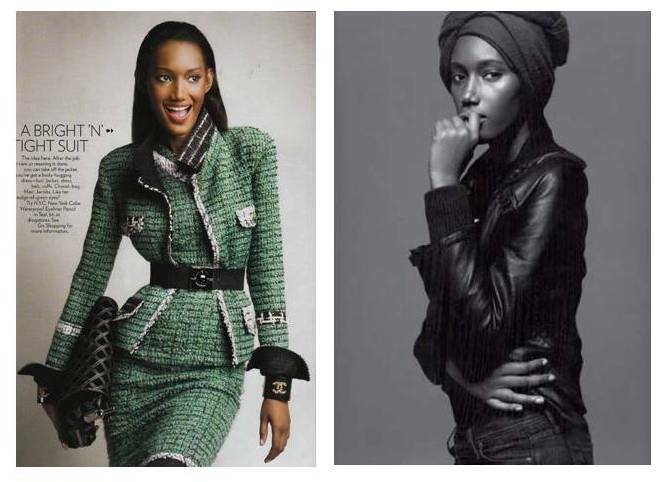 Jaunel is the first Caribbean-born model in history to be ranked the #1 black model in the world by Models.com. The Jamaican-born model was discovered by Pulse at the age of 16 during their very first Caribbean model search in 2002. McKenzie has built an enviable portfolio, with multiple spreads in Vogue – 11 for American Vogue and one each for the German, French, and Italian editions. She was the first Jamaican to do American Vogue. She has also done spreads for Elle, W, Vibe, Allure, and Victoria Secret. McKenzie has starred in campaigns for Tommy Hilfiger, Nordstrom, Banana Republic, and Addidas, and has walked the runway for Kenneth Cole, Catherine Malandrino, Derek Lam, Heatherette, Gucci, Dolce & Gabana, Louis Vuitton, and Stella McCartney, to name a few. Silhouettes, accessory pieces, trimmings and fabrics are all what inspire designer Arlene. L. Martin’s collections. She creates pieces in her collection to make customers feel beautiful and confident. Straight after presenting her 2010 CFW collection, Arlene was on her first of four flights to Botswana in Africa where her vision for her CFW 2011 collection was inspired. Light chiffon and other light materials were used to give the element of effect of ‘fluidity’ while structure was also a feature in the collection’s trousers. Arlene L. Martin has had a passion for design and sewing from as far back as she can remember. With skills that were largely self- taught, she actively took up the craft as a hobby in her late teens and over the years. Arlene later sought to improve her garment construction technique and today her clothing continues to capture the enthusiasm and hearts of many. She has been regularly styling friends and family with her much sought after creations and inspired by their feedback, she decided to make a business out of it. In her “other life” Arlene is a practicing business consultant who has worked on varied projects, such as for the national trade and investment agency, Jamaica Promotions Corporation (JAMPRO) that included being the National Consultant developing Jamaica’s National Export Strategy, as well as Kronos Investment Development. Canadian recording artiste, Divine Brown, wore a Drenna Luna jersey one-shoulder dress to the Grammy Awards in February 2011. Check our facebook page for further info! As the Olympics beckon and the global spotlight is cast upon the Caribbean’s world class athletes for a typical show of stop-watch beating excellence, another team of industry pioneers are set to descend upon the UK to make their own stylish mark and illustrate that the Caribbean has more to offer than just sports stars. 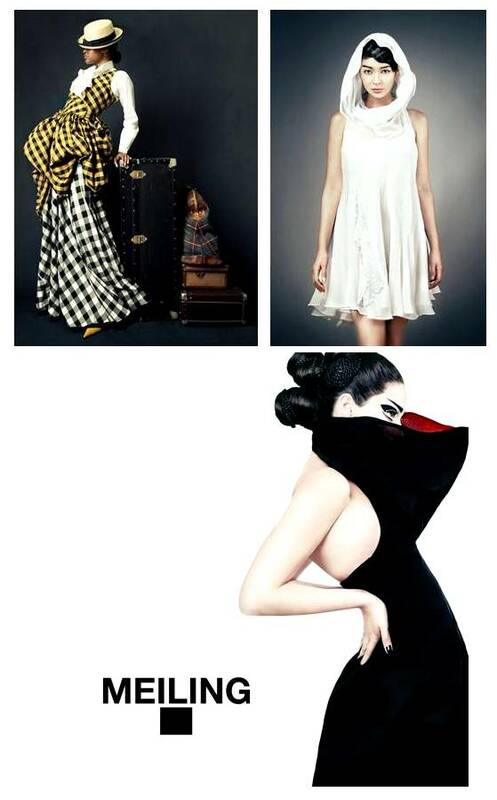 The exhibition will culminate in a private dinner with International fashion and musical icon, Grace Jones. Caribbean Export, the regions Trade and Development agency, with funding under the EU’s 10th EDF, will be partnering with the Caribbean Fashion Industry Association as well as JAMPRO, to debut the Caribbean Collection at London Fashion Week. The Collection is an exhibition of capsule collections from thirteen esteemed and exciting handpicked designers, ranging from debutante Juliette Dyke of Jamaica, to Phelicia Dell of Haiti, whose range of handbags were chosen by Diane Von Furstenberg to sell in her chain of stores across the globe marking International Women’s Day. The Caribbean Collections exhibition is endorsed by some of the world’s most beautiful women, all hailing from the islands. Jeneil Williams who followed Kate Moss on the cover of LOVE and I-D magazines, adorned the cover of Italian Vogue and has fronted campaigns for Vivienne Westwood, Lanvin and Louis Vuitton, will join former Victoria Secrets model Nell Robinson and her fellow Jamaican supermodel and American Vogue favourite Jaunel McKenzie in supporting the collection. The Caribbean Export Development Agency is responsible for delivering the exhibition in partnership with the Jamaica Promotions Corporation and Caribbean Fashion Industry Association.